You caught me doing all white again. It just feels so fresh and fitting with the weather. I can’t seem to even force myself to put on dark denim these days. I know that’s so dumb but it’s killing my spring vibe, ok? 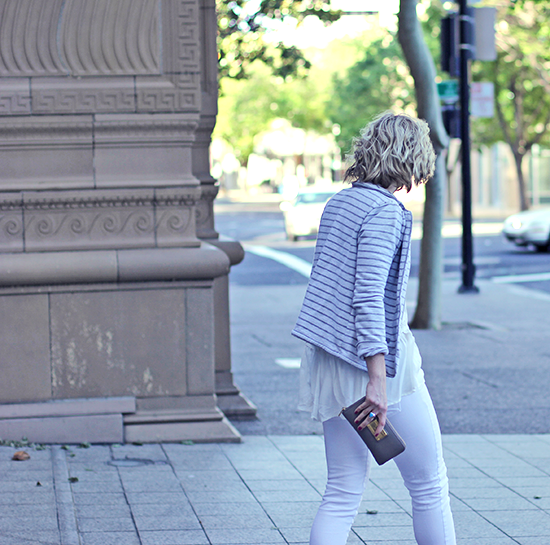 If you missed my previous “white on white” post from two weeks ago, click here. 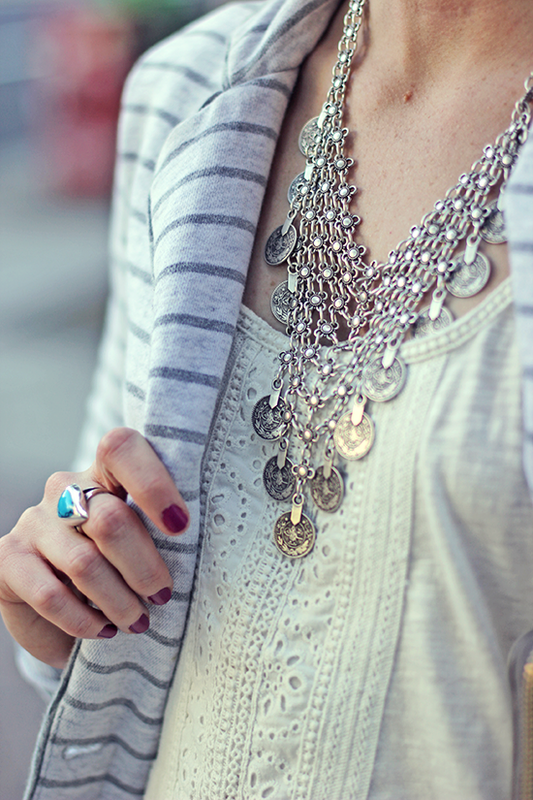 Which way did you like the look styled best—the light denim vest or the white striped blazer? This is lovely! I’m super into lacy white shirts lately, and this is a lovely one! love this! the blazer look is my fave! 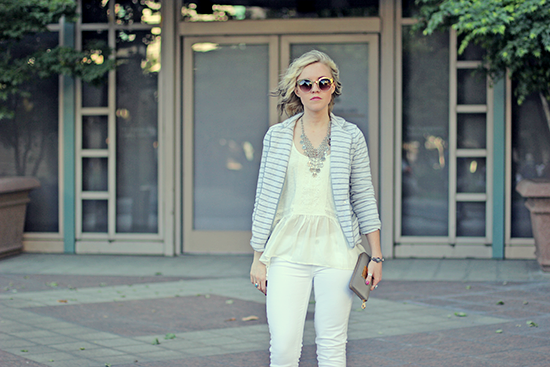 I’m loving this pair of white denim today!!! Paige is simply the best!!! I really like this look!! A bit more preppy than the other!! Both are darling tho!! White on White is just so classic!